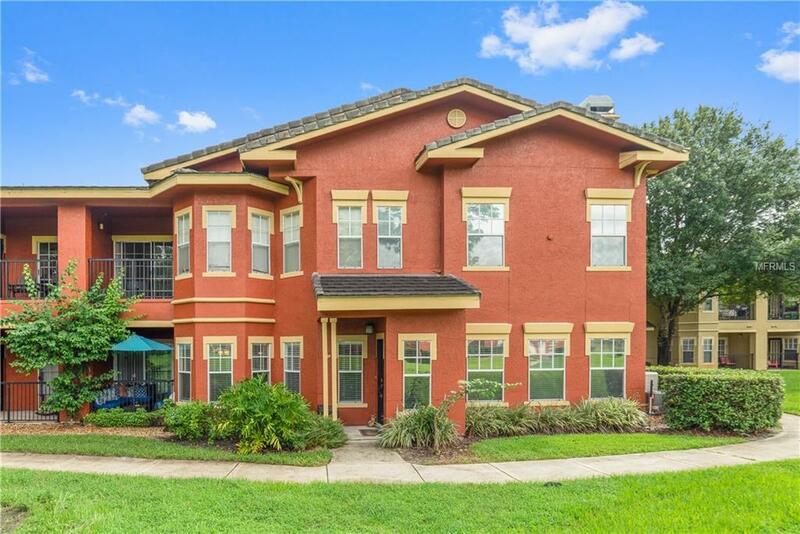 Stunning 3-bedroom, 2-bathroom town-home located in the highly desirable gated community of Notting Hill in Lake Mary. Impeccable gourmet kitchen with over sized cabinets, stone back splash, island with wood counter-top, eat in kitchen space, and LED lighting. Stainless steel appliances (electric cook top, hood, dishwasher, refrigerator, disposal, microwave, double oven). Beautiful Granite tops in bathrooms and kitchen. Double pane windows in kitchen. Built in entertainment center, electric fireplace, Bose speaker surround sound, and acoustical soundproof ceilings. Travertine, Marble, and Hardwood flooring throughout. Home has tank-less water heater, central vacuums in rooms and garage, blinds in every room, and ceiling fans. Garage has cabinets, storage, and working space. Guest bathroom has Jacuzzi tub, and spa delta shower heads. There is an extra hand-held shower hose in bathrooms, as well. Master has his/her vanity and sink, and custom walk in/built in closet. Home is ADT Security ready! All rooms have garden and Seminole county Trail views! Condo association has proposed a special assessment of $13,411 to be paid over 5 years at $231 per month. This Special assessment may be paid as a single sum or over 60 months. The funds will be utilized for capital improvements including new tile roofs throughout the complex. Sellers have decreased the asking price by this amount on 10/22/18 to compensate buyers for this pending assessment.